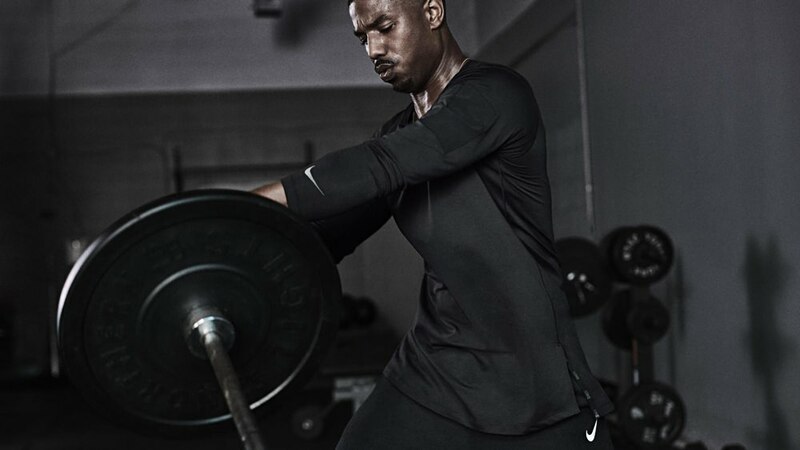 Michael B. Jordan's Black Panther Workout | Valet. Nike's new Utility Tee ($45), designed for tough workouts, features exaggerated vents for mobility and a dropped hem for extra coverage. 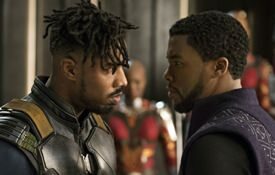 Michael B. Jordan is used to high stakes. Even as a young actor, he was tackling iconic roles in such beloved shows as Friday Night Lights and The Wire. Then he graduated to film and got into the ring for Creed, the long-awaited Rocky sequel. And in February, he's stepping into superhero territory in Black Panther as Killmonger, perhaps the coolest villain in the Marvel universe. Of course, anytime a skintight suit is involved, an actor has to hit the gym. But unlike other leading men who pack on some muscle simply for a role (only to lose it promptly after filming), Jordan's embraced the life of an athlete in order to stay in prime shape. "You only get one body, and you've got to take care of it as much as you can," he says. "And if you're not in good shape, you're not mentally strong and getting through a busy day is going to be really tough." 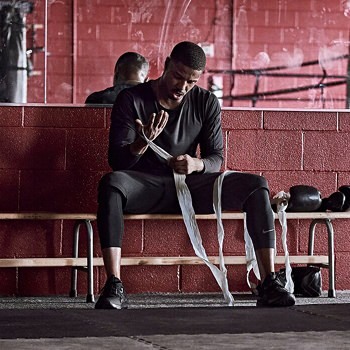 After partnering with Nike's Training Club app (where you can download three workouts inspired by the actor's roles), he shared some training tips on how he stays motivated and accomplishes his uncompromising fitness goals. This may take some trial and error, but you've got to find a form of fitness that interests you. If you're engaged, you're already motivated to do well and keep coming back for more. For Jordan, it was clear: "For me, everything is connected when I'm boxing—searching for those perfect punches is cool." Joe Holder, a Nike trainer who's worked with Jordan, reiterates the point. "Doing an activity for the love of it can be much more powerful than trying to get motivated to commit to it through something extrinsic such as weight loss," he says. "That way, it goes from being a 'chore' to a practice integrated into your lifestyle." You know those days when you're just not in the mood to workout? It's a bad day, you're stressed or tired and you'd rather grab a beer or take out your frustrations on a video game? Jordan says those are the days when a workout really works. "I think about what's bothering me at the moment, what I want to leave in the gym and just work it out,' he says. "And sometimes I realize that the problems and the stress aren't as bad as I thought they were walking into the gym. It can change the way I react to certain things." Think of it this way: you're already working out. And yeah, it hurts and you're tired, but if you're phoning it in and not giving it your all, you're wasting your time. You'll just have to work harder the next time to catch up. Jordan says that it's key to finish every workout like a champ. "Finish a set, finish a routine. You can't just stop halfway through ... I can't just stop in the middle of a take or in the middle of a relationship," he says. "So quitting is something I try to never even let into my mind." 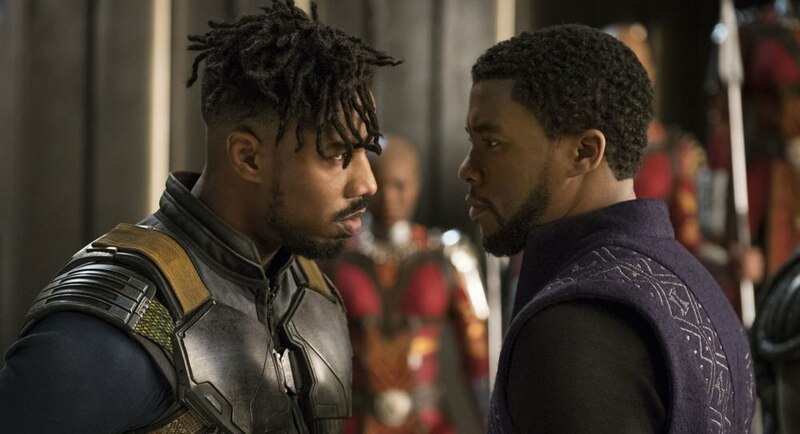 See the results of all that hard work in Michael B. Jordan's upcoming film, Black Panther. Jordan loves boxing, but he doesn't only do boxing-style workouts. For each new role he takes on, he trains how the character he's playing would train. And this "method training" is something that keeps his mind and body from getting bored. Plus, it allows him to avoid the dreaded workout plateau (when no matter how hard you go, you stop seeing results). "From an exercise science perspective, every person of every fitness level should change a routine to focus on different skills that may need to be improved, such as flexibility, endurance, speed and so on," says Holder "This way, you don't become physically or mentally stuck." Chris Evans got stacked for the new Captain America. Here's the diet and workout that got him there.